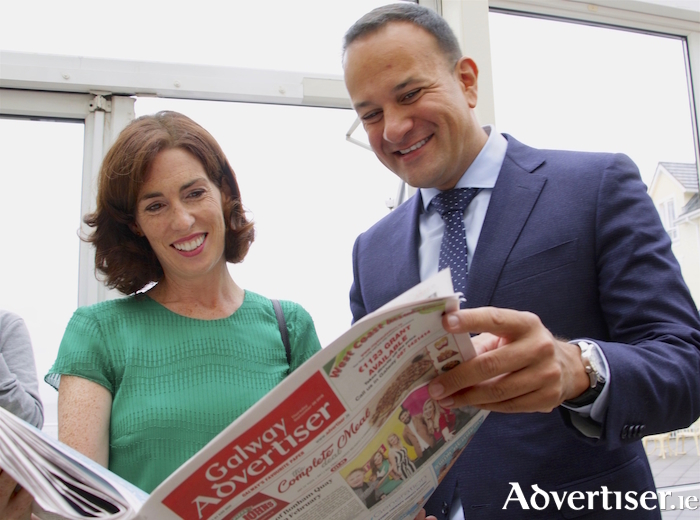 Last week Fine Gael held its annual party think-in at the Galway Bay Hotel and, on Thursday morning, I had a sit-down with An Taoiseach Leo Varadkar to hear his thoughts on a range of local and national issues. The Budget was one of the main topics discussed at the party think-in and the Taoiseach outlines what we can expect from it; “The most important principle is that it be prudent, that we reduce the budget deficit. We want to move from a deficit to a surplus by 2020 so we need to keep bringing down the national debt. I’m determined that, if there is anything I do as Taoiseach, it’s to break this country out of this boom and bust cycle we’ve been in for too long, where we have massive increases in spending and tax cuts when things are going well, and when things are going badly we make them worse by cutting everyone’s pay and welfare and increasing taxes. "I am determined that Ireland should have a new normal, which is what they have in most of northern Europe, with steady, sustainable growth in jobs, incomes, and living standards. So it is going to be a prudent budget. For some people that might make it underwhelming but we will provide for about €3.5 billion in additional spending. A lot of that is already factored in; Project Ireland 2040 and the extra investment in roads and housing, increased pay restoration to public servants, and money to recognise that our population is increasing, and we’ll need extra funds for pensions and more kids in school. On Brexit, Varadkar remains hopeful of a deal being reached between the EU and the UK. “We will have a withdrawal agreement with the backstop with the Irish protocol, which we insist on, and also a political declaration on what the relationship between the UK and the EU is going to look like," he says. "While the aim is to have that done by the summit in Brussels in October, it may run into November but we do need the deal. Ireland needs it, the UK needs it, the EU needs it, and that is going to require further compromise on both sides, but I think it is achievable. Amid rising rents across the country, campaigners like Fr Peter McVerry have voiced concern over the number of TDs who are landlords (one in four ) suggesting this could amount to a pro-landlord lobby within the Dáil. Varadkar disagrees. “I’m not a landlord myself," he says. "A lot of my friends are people who are renting and paying very high rents, or are people who want to buy but can’t find a property because there is an under-supply in the market. For every TD who understands the point of view of the landlord, and landlords aren’t bad people, we do need them, there are just as many who understand the issue from the side of people who are renting. Finally, Varadkar will likely be hosting President Trump in November. Having been praised for the way he confronted church scandals when welcoming Pope Francis, will An Taoiseach be delivering a similar speech in greeting the US president? “I don’t know yet because we don’t yet have a programme; we don’t even know what day he is actually going to be here,” he replies. “I’m sure it will involve a meeting between him and me, following up on our meeting at the White House in March. The relationship we have with the US is really important and it is more important than any particular president or any particular taoiseach at any particular time.